Boris Nemtsov’s death was an appalling crime, but he wasn’t the “leader of the Russian opposition” as many Western media outlets claim. The differences between what Russians regard as the opposition to their government and what Westerners perceive as the Russian opposition was on incontrovertible display last week. All 28 EU ambassadors to the Kremlin attended Boris Nemtsov’s funeral but Russia’s President Vladimir Putin and his Prime Minister Dmitry Medvedev were absent. Russians divide the opposition into two distinct groups, the systemic opposition, headed by the Communist leader Gennady Zyuganov and the other opposition, arguably now led by Alexey Navalny. However, Westerners see only the – often erroneously designated – ”Liberals” as a legitimate alternative to Putin’s government. This ignores the genuine support for the Communist Party among many Russians who either pine for the perceived glories of the USSR or are sick and tired of the oligarchy. Putin’s genius has long been to successfully walk a tightrope between the two sides. The systemic opposition favours more totalitarianism and a tougher line against the West. On the other hand, the “Liberals” desire rapprochement with Europe and the US and a return to ‘90s attempts to introduce a liberal democracy. 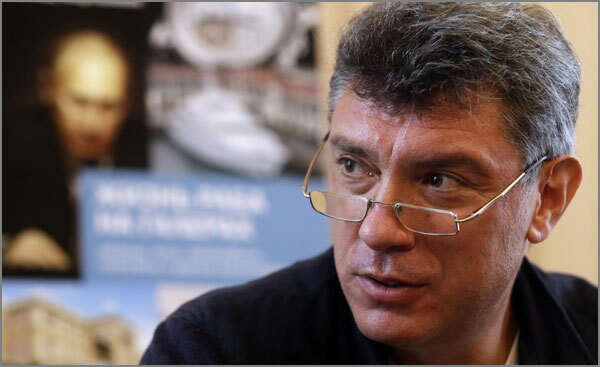 Boris Nemtsov’s death was appalling. A native of Sochi, the former deputy prime minister was a gregarious bon viveur, with a reputation as a ladies’ man but also one as a thoroughly decent skin. People liked him. However, before his body was cold on Friday night, “commentators” with very little knowledge of Russia were queuing up to use Nemtsov’s murder to fit their own agendas. One, the neocon activist Michael Weiss, completed an investigation into the Moscow killing inside an hour – from New York, something even Kojak or Colombo wouldn’t have tried. Excited by his findings, he appeared on CNN to make a, quite bonkers, comparison between the death of Sergey Kirov in 1934 and that of Nemtsov. Despite there being hundreds of American journalists in Moscow, CNN decided to bring on – via Skype – a pundit who has never lived in Russia (and knows very little about the country) to discuss a breaking news story in the Russian capital. They might as well have asked me to discuss Nevada’s current weather – in Irish Gaelic, from Sochi – for all the sense it must have made to their viewers. On Saturday, the BBC hauled out the former head of MI6, John Sawers, twisting his words to say that Russia has become a “danger to Britain”. A great headline and impressive clickbait. Nevertheless, Sawers was actually calling for ”increased dialogue… with a Russia which feels very exposed” in his wide-ranging Today program interview. The “Russian threat” brigade was out in force, calling for more sanctions and blaming President Putin for Nemtsov’s murder. I fail to see any conceivable reason why Putin would want an opposition activist shot a few dozen metres from the Kremlin’s walls. The death of Boris Nemtsov is not exactly positive for Putin as it creates instability and provides his adversaries with a kind of martyr. Not that the government is entirely blameless. My feeling – shared by many others – is that Nemtsov’s death might be Donbass coming to Moscow. Some Nationalist elements among volunteers fighting in Ukraine might be frustrated by what they perceive as insufficient Kremlin support for their cause. As an outspoken critic of Crimea’s reunification with Russia, who was close to Ukraine’s President Poroshenko, Nemtsov would have been an obvious target for their wrath. That said, I am proffering a theory, not stating it as fact. Of course, this runs contrary to the State Department narrative – slavishly followed by Western media – that Russia has invaded Ukraine. To admit that radical elements in Russia actually oppose Putin because he refuses to invade Ukraine would make them all look extremely silly. On Sunday, June 28, 1914, Archduke Franz Ferdinand was assassinated at the northern end of the Latin Bridge in Sarajevo. On Friday, February 27, 2015, Boris Nemtsov was murdered while crossing the Bolshoy Moskvoretsky Bridge in Moscow. The only thing both crimes have in common is that they happened around bridges. Of course, the Archduke’s slaying, at the hands of a Serbian nationalist, sparked the Great War. Reading the hysterical reaction of the western mainstream media to the heinous Nemtsov homicide, you’d think something equally as profound is imminent. Relax, it’s not – Nemtsov’s days as a political figure of influence expired a long time ago. The Western press, either through genuine ignorance or calculated misrepresentation, consistently paints an erroneous picture of the composition of Russia’s opposition. Fringe activists, most of them conveniently liberal and pro-American, are built up as “leaders” – ignoring reality.